Amnesia Haze is a marijuana strain that is synonymous with a top notch smoking experience thanks to its high THC content and ongoing popularity with even the most experienced smokers. Haze found its beginnings in California during the 1970s, but really took off once it reached Europe. Things began to move quickly for haze once its prime genetics reached Holland for the first time, as numerous hybrid strains were passionately developed there. Things only got even more interesting for the strain when an American expat famously took one of these Holland haze hybrids and combined it with some original haze seeds, thus creating Amnesia Haze, a strain which has grown to become legendary and continues to be just as popular as ever all these years later. Amnesia Haze plants are known for being large when they are grown both outdoors and indoors. Typically, however, this strain is grown indoors, as if it is grown outdoors it requires hot climates that are not always any option for growers outside of quite specific geographic areas. The flowering period for Amnesia Haze is well known for being fairly long at 12 weeks. This often deters many growers, both small and large, but anyone who realizes how wonderful this strain can be will realize that it is well worth the wait and the little bit of effort it takes to get to harvest time. Amnesia Haze can easily be grown in a variety of setups including scrog, regular soil and hydro. It is worth noting that Amnesia Haze plants are known for being quite sensitive, so if you do choose to grow them, simply keep a close eye on the growing conditions that you have them in, eliminate all insects from the area and ensure that you are always irrigating properly. It also pays to only use very high quality seeds. When it comes to yield, Amnesia Haze is known for creating large amounts of premium product. Indoors, a plant can typically put out 70-80 grams per plant under the right lighting and growing setup. These plants can also produce very high yields outdoors, with typical outdoor harvests creating as many as 650 grams per plant. This high yield makes the longer wait seem even more worth it, and after a couple of weeks of drying once you harvest, you will be amazed at how potent and enjoyable your finely grown Amnesia Haze is. This is one of those strains that you remember forever after you try it for the first time. 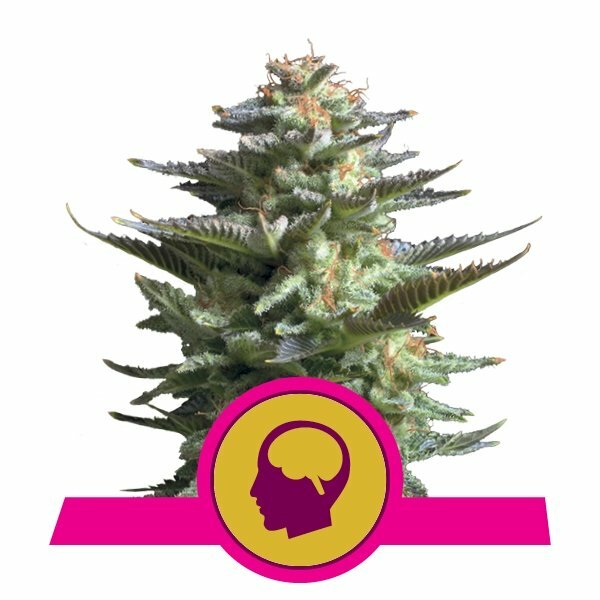 The high that Amnesia Haze is so well known for is considered a psychedelic high. Even smokers who have been enjoying strong marijuana for years and have built up a tolerance are often surprised by its strength. This strain has extremely high cannabinoid content and is a blend of 70% Sativa and 30% Indica. It is dense with fruity and floral vapor or smoke scents and creates a lengthy two to three hour high for most users. It is because of this potency that this strain is so often used for medicinal purposes. Most medicinal users find that it is best for reducing stress and the sensation of pain, while making them feel uplifted and euphoric for the duration of the high. While smoking Amnesia out of a bong, pipe or joint are clearly all great options, many users choose to vaporize it to get the best results and flavor. Amnesia Haze won the highly coveted High Times Cannabis Cup in 2004 and was awarded with the label of #1 overall strain, which only proved what many users already knew, which was this strain was comparable to very few others. This Cannabis Cup distinction was a big deal, as this event is unprecedented in its competitiveness and draws a huge amount of attention from both smokers and the worldwide media. In 2012, Amnesia won the High Times Sativa Cup, only solidifying its place as one of the world's most well loved strains even further. By now you should be excited about the idea of growing some Amnesia Haze of your own. Royal Queen Seeds can provide you with all of the feminized seeds you need, so you know that your grow will be successful right from the start. You should only trust seeds that you know will work well and produce the highest yields possible, and that's what Royal Queen Seeds can offer as one of the most successful and fastest growing cannabis seed companies out there. Smoking a Cannabis Cup award winner is no longer something that you have to dream about. You can get started quickly with your very own grow and have access to a strain that you and those you smoke with will absolutely love. This strain is highly versatile, as it can be used for simple recreational enjoyment as well as in medicinal situations for those experiencing pain, depression and a wide range of other health issues. Either way, it is sure to please and well worth growing.